Hear PJ Harvey's next album live, get your finances in order at the Strand, and all rise: the right honorable Morrissey is at Carnegie Hall. Morrissey. At Carnegie Hall. Yes. 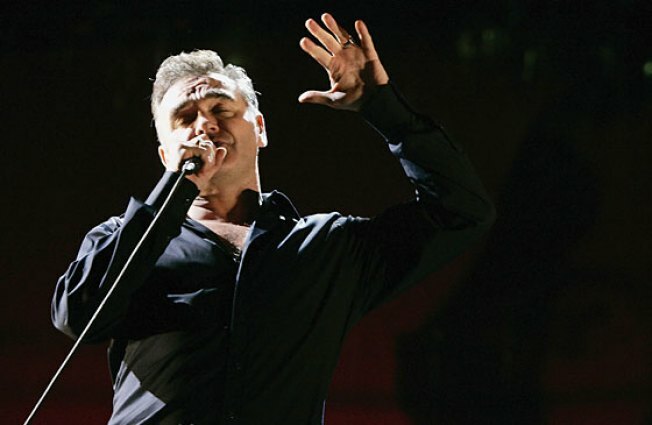 TUNESMITH: Please, please, please let me get what I want -- a front-row seat to see Morrissey at Carnegie Hall. Lord knows, it would be the first time. The buzzy Courteneers open. 7:30PM. MONEY MONEY MONEY: Got loans? Got panic? Beth Kobliner wrote Get a Financial Life: Personal Finance in Your Twenties & Thirties, and tonight, she'll be at the Strand to smack the message into your thick head, already. TWOSOME: Longtime collaborators PJ Harvey and John Parish are about to birth another disc, A Woman a Man Walked By. Get a taste of it at their cozy show at the Fillmore at Irving Plaza, 8:30PM.